Wow! Can’t believe it but we are now in Year 2012! How time flies, and it was only like a day ago =P(truth is a year ago) where i asked What’s your new year resolution? Have you achieved your Goal last year? 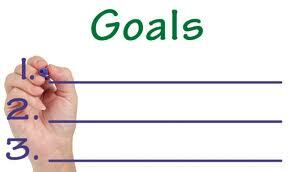 Or did you NOT set any Goals last year? Nevertheless, i will sincerely stand up and applaud you if you have achieved the goal you have set last year. Because, you are an achiever. A DOER! You make things happen. You are one who recognises that opportunities are created and goals are achieved all through sheer perseverance and discipline. The very same applies in Forex trading. Which is why forex trading is very VERY closely related to our daily lives. The emotions we expose outside of the forex trading world, WILL be the same emotions we have in our forex trading. If you can achieve the above in this year 2012! It will not only aid in the real world you live in, it will also largely aid in your forex trading. By achieving the above goals – You WILL be a better person. You will be someone that achieves GREAT THINGS! Read the above GOALS again and make sure you will improve on all of the above this 2012. This slight improvement will pave the road for greater things from now on!